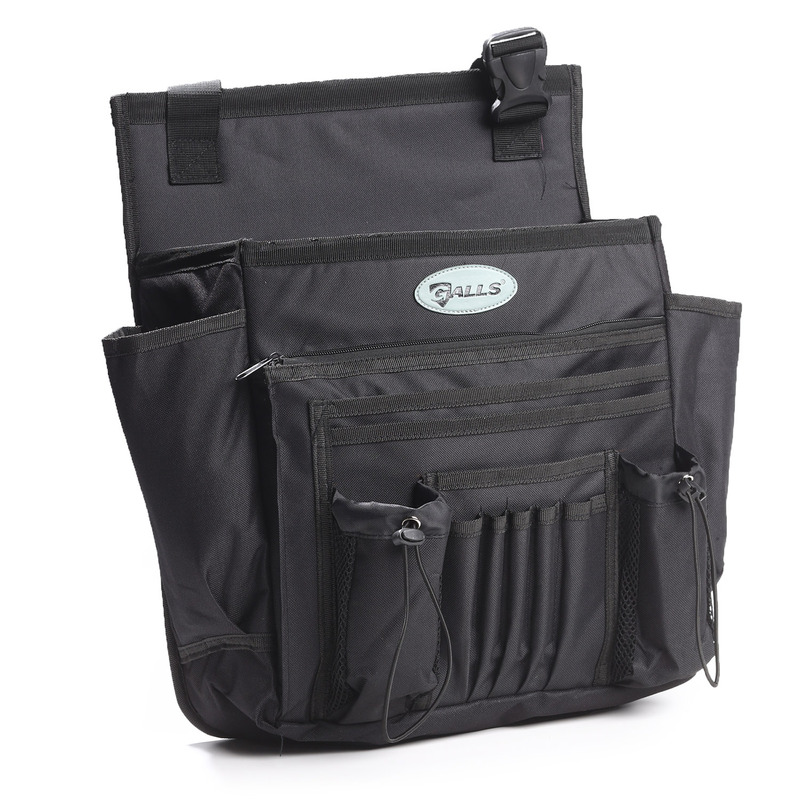 Keep essential gear at the ready with the Galls Deluxe Soft-Sided Seat Organizer. Fifteen compartments are provided for optimum organization while you’re on patrol. Side pockets secure your duty light, traffic wand or side-handle baton. Larger main compartment holds bulky clipboard or files. Two pockets with drawstring tops keep items safely in place, while mesh sides allow contents to air out — making this particular storage area ideal for duty gloves. Durable denier polyester construction is more than able to withstand the rigors of daily use. Simply hang this mobile organizer on headrest and go driving. The Galls Deluxe Soft Sided Seat Organizer is just what I was looking for. I have a regular cab Tacoma. Although this truck is rated as a 3 passenger vehicle, it only seats 2 comfortably. I had purchased a tupperware type container to be able to store things in between the driver and passenger seats. The container never really held enough and I really didn't remember what I had in there. This seat organizer was just the ticket. It holds all that is needed and items are visible to the eye, unless of course you want to conceal something, then the zippered compartments will take care of that. It seems to be well made and I am very satisfied with my purchase. Would recommend this item for those that want to keep things in place and easy to get to.